Evolve & Co Wishes You a HAPPY THANKSGIVING! 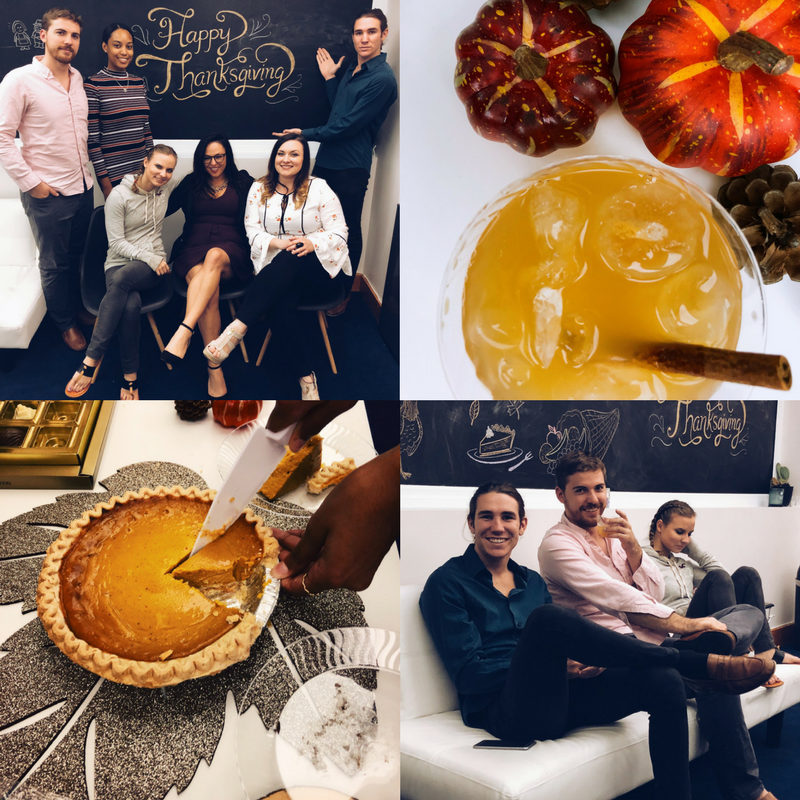 The Evolve & Co team gathered for a lovely Thanksgiving celebration and recounted what we’re thankful for – about work! BRITTANY, Copywriting Intern – I’m thankful that I took an internship with an ad agency. My plan was to just study journalism and sports, and I’m happy I did this internship because of the experience I am getting. I’m having a lot of fun. ANDREA, Art Director – I’m thankful for the Control Z shortcut! ZACH, Brand Management Intern – I’m thankful for making new friends and for being part of the “community” we’ve created at the agency. LIZZIE, Brand Manager – I’m thankful for an endless supply of sticky notes that keep me on my game. ZEKE, Brand Management Intern – I’m thankful for the platform to create, and to have an environment to harness creativity. LISA, President – I’m thankful for the amazing clients that challenge us and invest in us, and for our dynamite team… I’m honored to work alongside an inspiring group of creatives with such passion for the work.